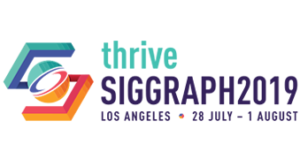 The SIGGRAPH 2018 Virtual, Augmented, and Mixed Reality is the place to experience, play, and learn about the latest technological advances. It hosts physical spaces to learn about the advancements in immersive realities such as the Vrcade (games and experiences), the VR Theater (storytelling) and the Village (installations). The Audio Guides are the voice recordings of the Village (installations) contributions in different languages! Special thanks to: Krissa Nakazato (Japanese), Santiago Echeverry (French), Ivan Aguilar (Portuguese), Ana Serrano (Spanish), Rick Xu (Mandarin), Patience Lee (Cantonese), June Kim (Korean), Jihed Jaouabi (Arabic), Jessica Sommerville (English), Bektur Ryskeldiev (Edition), Kim Baumann Larsen (Edition).